For those who dream of owning a piece of paradise, the luxurious Ko Olina Resort & Marina offers six gated communities, with a wide variety of residences. Choices include townhouses, villas, condominiums and single family homes, most with two or three bedrooms. Each of the six communities features a recreation center with pool, spa, cabanas and barbecue grills. 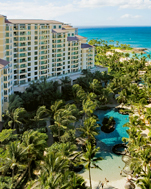 Vacation and timeshare opportunities at Ko Olina include the Aulani, Disney Vacation Club Villas and Marriott’s Ko Olina Beach Club, the first five-star vacation ownership resort on Oahu and one of the most successful properties in Marriott International’s vacation ownership portfolio. Two miles of white sandy beaches, including a string of four lagoons connected by over a mile and a half of seaside pathways, private roadways with bike and golf paths and infrastructure to service single- and multi-family residences, provide a resort lifestyle and atmosphere that is unheard of on Oahu. At Ko Olina, guests, residents and kama‘aina can enjoy a true Hawaiian lifestyle!